Heads up! 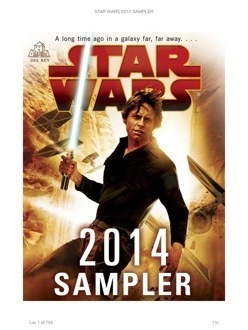 The 2014 Del Rey Star Wars Sampler has arrived! I just got the message the sampler is live! It is on my Kindle for iPad now! It is all proceeding as I have foreseen! No sleep tonight! Thanks, Del Rey! I finished reading the sampler. 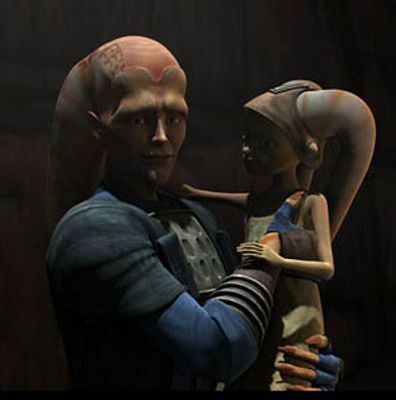 We now know who the Star Wars: The Clone Wars character that is featured in Lords of the Sith by Paul S. Kemp! Cham Syndulla! I can only assume her linkage through family to Hera Syndulla made the character ripe for resolution. It appears he has continued the good fight for Ryloth after the Clone Wars only to find the Galactic Empire is stripping away everything from the planet, including its freedom!